Fitted cool max tshirt in Mens & Womens sizes S-XL. 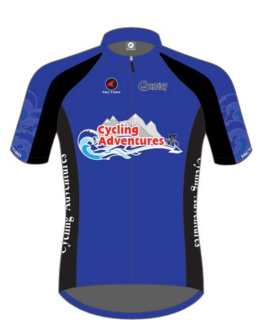 This loose fitting Century Club Fit jersey is wider in the middle and available in unisex sizes. 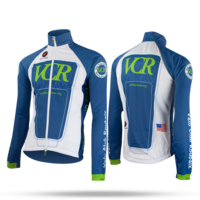 This jersey provides the quality, fit, and design that Pactimo has become known for while meeting the needs of every range of cyclist, from beginner to elite. Constructed with the all-new DynamiK™ sport performance fabric, it has been designed to wick moisture and provide exceptional temperature control. This tighter fitting Pactimo Race Continental jersey provides the quality, fit, and design that Pactimo has become known for while meeting the needs of every range of cyclist, from beginner to elite. Constructed with the all-new DynamiK™ sport performance fabric, it has been designed to wick moisture and provide exceptional temperature control. 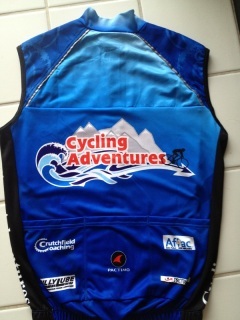 The photo is a sample of the style of vest offered by Pactimo. You will receive a cycling adventures print similar to the jersey print. 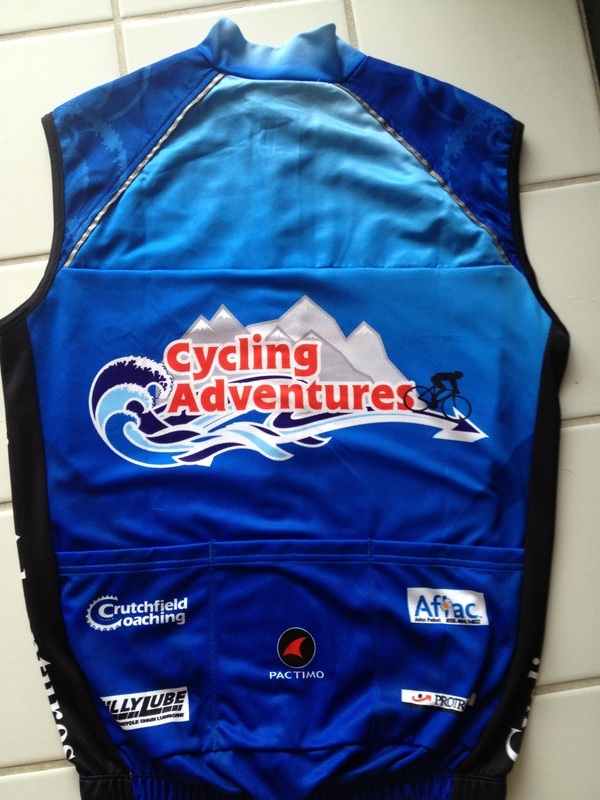 The photo is a sample of the style of jacket offered by Pactimo. 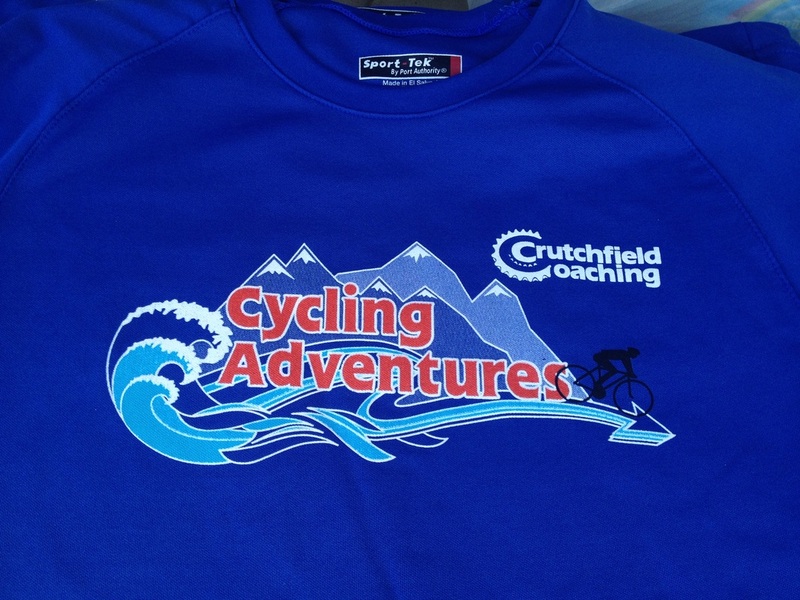 You will receive a cycling adventures print similar to the jersey print.